How smart is your tongue? Read this book to find out! Read it out loud – and laugh even louder. Fox. Socks. Box. Knox. Four words that add up to heaps of silly combinations. (Wondering who Knox is? He’s a cuddly dog in a yellow jumper.) 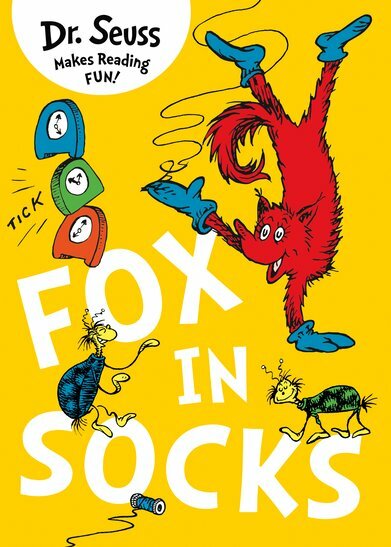 Fox in socks. Socks on box. Knox on fox in socks in box. See what we mean? And that’s before we even get to the chicks with bricks… Give your tongue a workout with this book of very silly phonic rhymes. Tongue-twisting Dr Seuss genius. Tee hee hee.